The OCS training for East and Southern Africa and Latin America was held from Monday 4th April 2016 to Wednesday, 20th April 2016. 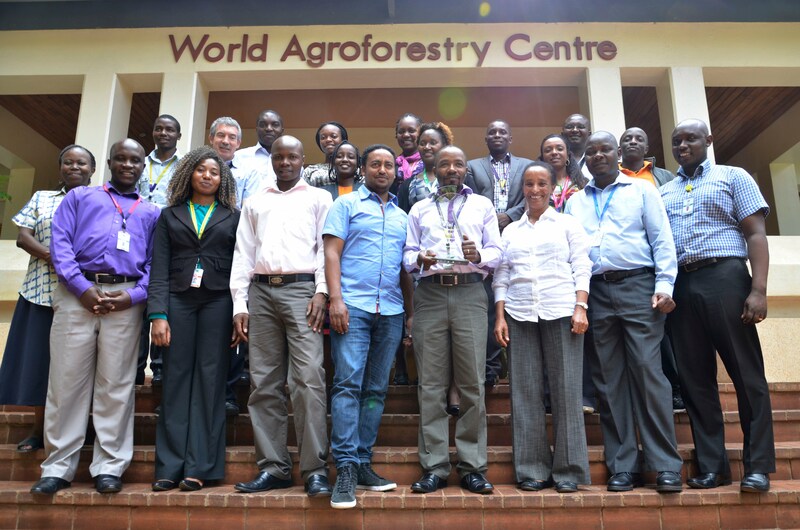 There were a total of 13 participants drawn from Kenya, Ethiopia, Rwanda Tanzania, Peru, Uganda and Malawi. The launch of the training began with an introduction by Isaac Ochieng who gave a brief introduction on the four OCS workstreams and introduced the Process Experts for each module. This was followed by a more detailed presentation by Laksiri Abeysekera, the Project Sponsor who began with a brief introduction on what OCS is. He noted that it was currently being implemented by eight other Centres including the Consortium Office, and that all of them were at different stages of implementation. Highlighting that there had been a number of challenges encountered during implementation, he stated that most of these had been addressed or are being addressed together with the vendors. He noted that a lot of time had been put into the development of the One Corporate System (OCS) and that he had a lot of faith that the system would be a success. Laksiri concluded his presentation by asking the participants to focus on learning the system during the training weeks and to stay in touch with the Process Experts once they returned to their respective countries. “You must be 100% present during the training as ICRAF will not revert to the old systems.” After this, Linus Kabutha the OCS Project Manager went on to highlight some of the advantages of the new system, the progress so far and the plans for implementation of Phase II. During the training weeks, participants were first taken through the four common modules: Introduction to UBW, Requisition, Leave and Travel. The different groups then went into more detail and covered modules such as General Ledger, Procurement, Applicant Tracking, Accounts Payable and Receivable, among others. They were also joined by administrators from HQ during the first week when covering the Human Resource modules on Contract Management, Applicant Tracker and Request for Personnel. During the closing session on 20th April 2016, participants had anopportunity to interact with Key Business Users (KBUs), System Builders and Process Experts. They sought clarification on areas that they had not understood well. They were then confirmed as Champions and KBUs in their respective areas and are now expected to train staff based in their countries. Laksiri encouraged the participants to embrace OCS which would promote efficiency in the Centre, ensure access to realtime data and improve the quality of reporting. He informed them that once they returned to their countries and the system is implemented, manual reporting would be a thing of the past. So far, training has been conducted at HQ, Southeast Asia, South Asia, East and Central Asia, East and Southern Africa and Latin America. The system has gone live in Asia and HQ. Training for the West and Central Africa region is slated for June 2016.